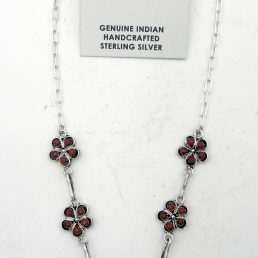 Palms Trading Company is proud to carry the iconic turquoise squash blossom necklace in our inventory. 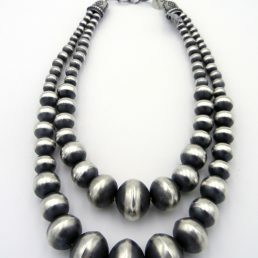 A jewelry piece truly symbolic of the Native American Indian cultures of the Southwest, this intricately designed necklace is a favorite piece among men and women. 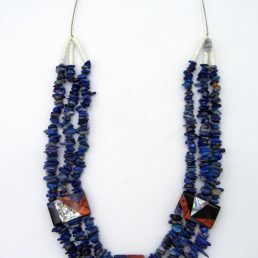 Each handmade necklace is designed to reflect the unique heritage and craftsmanship of the Zuni and Navajo people. 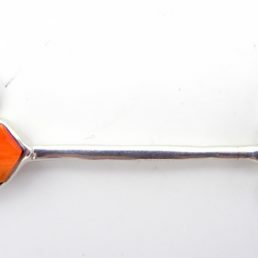 As the official state necklace of New Mexico, the squash blossom necklace has been part of our region’s culture for many years. 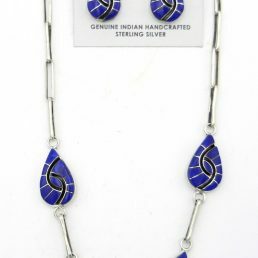 The Navajo Nation and Zuni Pueblo have been creating these pieces of jewelry from as far back as the late 1800s. 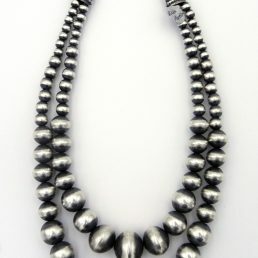 Originally, the Navajo Nation began displaying the crescent shaped pendants of the Spanish Conquistadors around their necks. 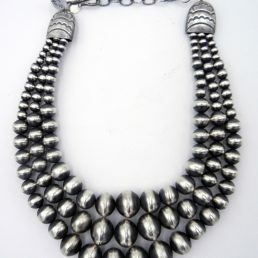 Over time, silver beads were added to the necklace, creating a shape resembling the squash blossom. 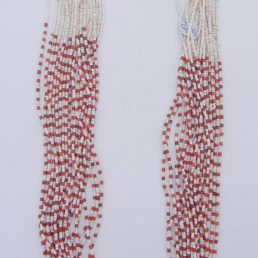 Due to the interaction between the Navajo and other Pueblos, the Zuni also began creating these necklaces with turquoise gems. 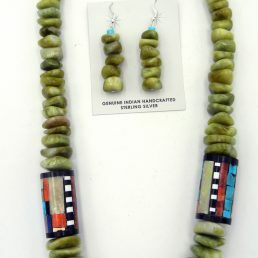 Eventually, both the Navajo and Zuni heavily featured these stones in their necklaces. 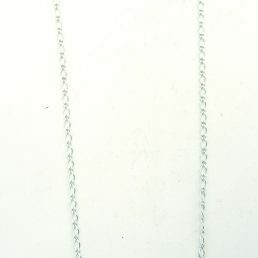 Today, the turquoise squash blossom necklace continues to be one of the most popular pieces in our collection. The turquoise squash blossom necklace is a work of art you won’t find anywhere else in the world. 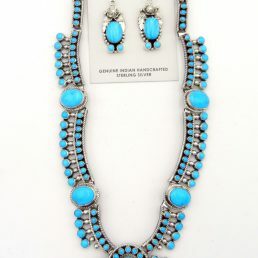 Enhance your style with the magic of the Southwest by adding a pair of matching turquoise earrings. 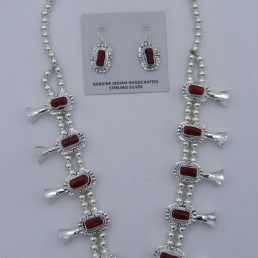 This marvelous jewelry set frames your face with sparkling stonework that will accentuate your features. We also carry bracelets, pins, pendants and rings that fantastically showcase the turquoise gem’s natural beauty. Palms Trading Company buys Native American jewelry directly from the artists, enabling us to share them with the world at fair and honest prices. Our squash blossom necklaces and other jewelry pieces featuring genuine turquoise gems embody the culture and history of our region in beautiful display. Stop into Palms today and browse our collection of statement and chunky turquoise necklaces. We know that once you try on an astonishing turquoise squash blossom necklace, you’ll instantly fall in love with the Southwest’s distinctive style.